Explanation: This lovely celestial view is surely a familiar one to winter skygazers in the northern hemisphere. Lights silhouetting the trees are from nearby towns Morganton and Rutherford College, North Carolina, USA. But the scene may also look familiar to attentive fans of the movie Cold Mountain, whose fictional characters discuss this same factual starry sky. 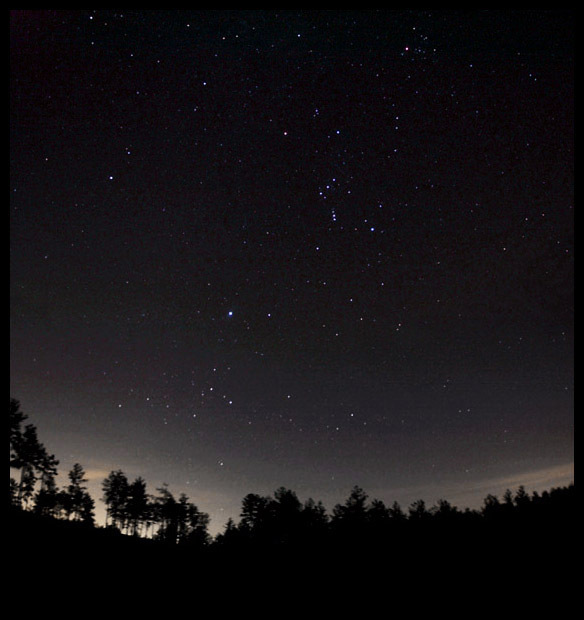 Sporting belt and sword, Orion the hunter is an easily identifiable constellation above center. 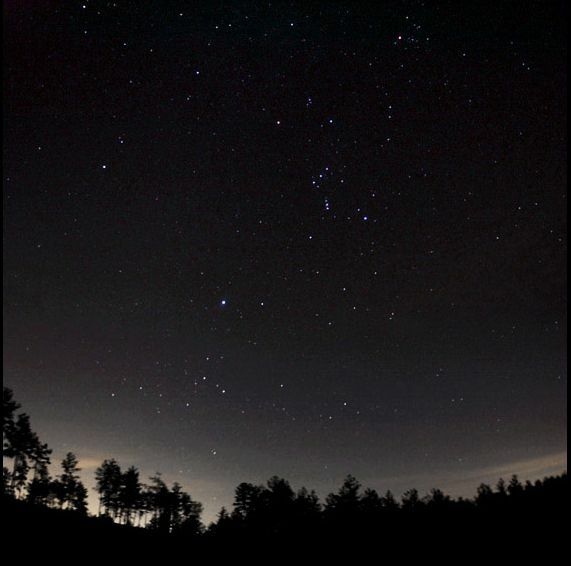 Above and to his right lies a V-shaped arrangement of stars in the Hyades star cluster anchored by bright Aldebaran. Below and at the left of the hunter are his dogs Canis Major and Canis Minor, and their respective alpha stars Sirius and Procyon. Need a program to follow the stars? Just put your cursor over the Cold Mountain Sky.